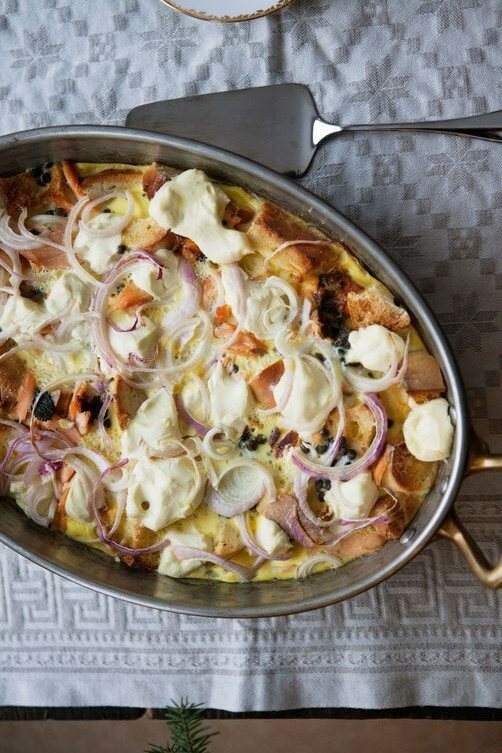 A unique twist on the classic bagels and cream cheese, this very heart strata can be made the night before for an easy brunch in the morning. For a eggier texture, use regular bread over bagels. In a large sauté pan, heat the butter over medium-high heat until it is foaming. Add the red onion and cook until softened and starting to brown, about 5 to 7 minutes. 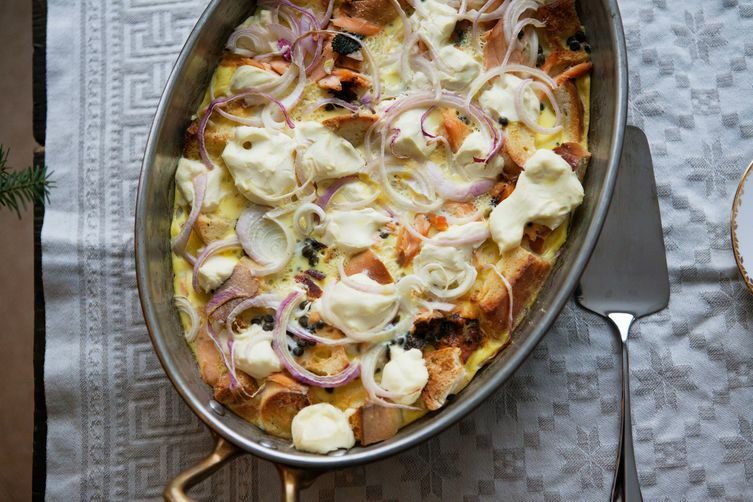 Butter a large baking pan (9 x 13 or so) and layer the cubed bagels, the salmon or lox, the sautéed onions, the cream cheese pieces, and the capers and dill (if using) in the pan. 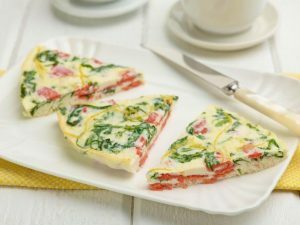 In a large bowl whisk together the eggs with the half and half and the teaspoons of salt and pepper. Pour the egg mixture over the bagels, etc, in the baking pan. Cover and let this sit for at least 45 minutes (you can also let it sit in the fridge overnight). 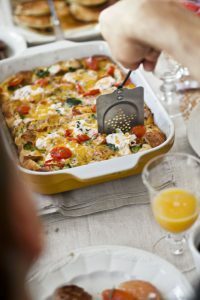 When ready to bake, heat your oven to 350° F. Bake the strata until the eggs are set, about 45 minutes to an hour. Allow to cool for about 10 to 15 minutes before cutting into it. Eat warm or at room temperature.